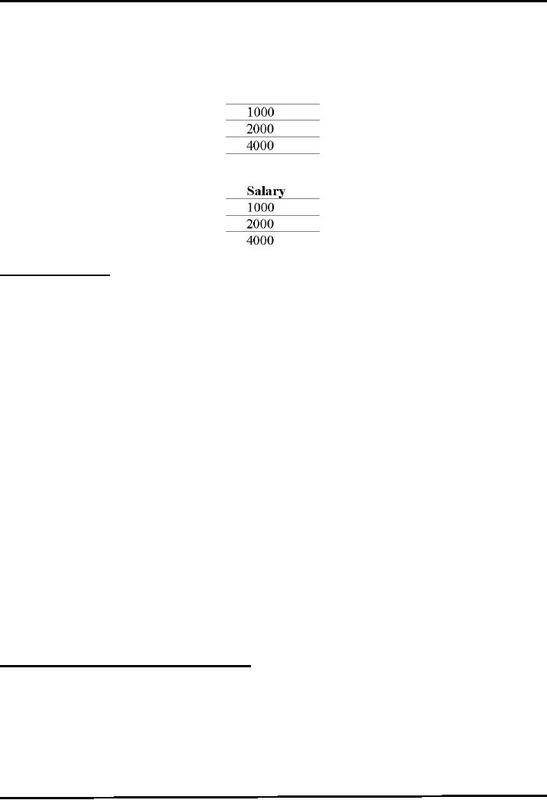 Now, just casting a glance on these values, you can conclude that it's all about some ones salaries. -How many columns are in the ResultSet? -What is the name of given column? -Are the column name case sensitive? -What is the data type of a specific column? -What is the maximum character size of a column? -Can you search on a given column? What SQL types are supported by DBMS to create table? What is the name of a database product? What is the version number of this database product? 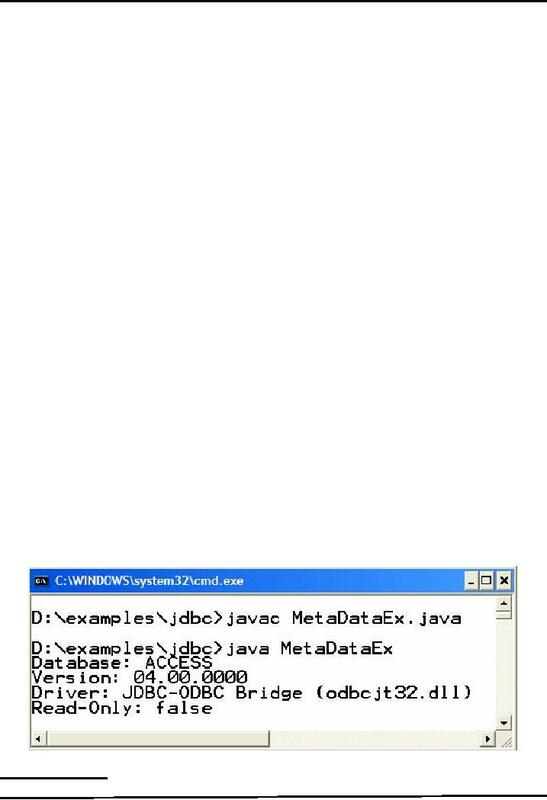 What is the name of the JDBC driver that is used? Is the database in a read-only mode? 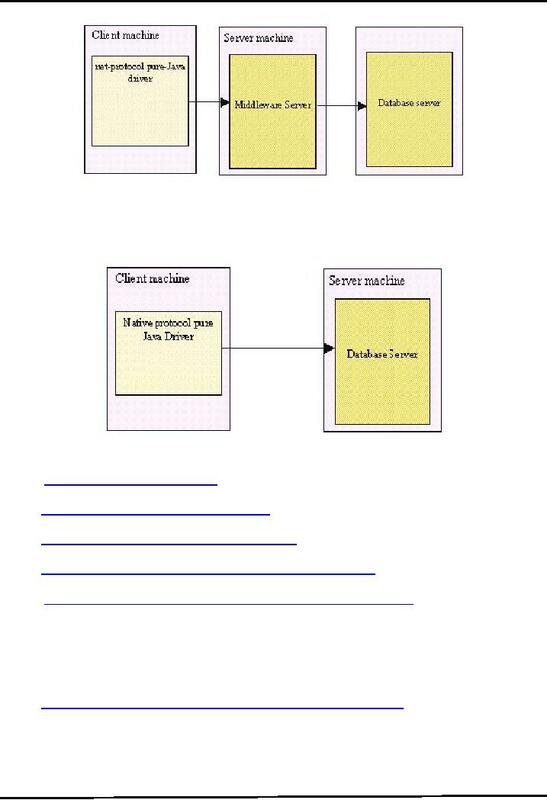 demonstrates how to get DataBaseMetaDataobject. Now, you can use the dbMetaData to gain information about the database. This code is modification of the example code 17.1. Changes made are shown in bold face. JDBC Driver Types are divided into four types or levels. independence, performance, deployment and administration. 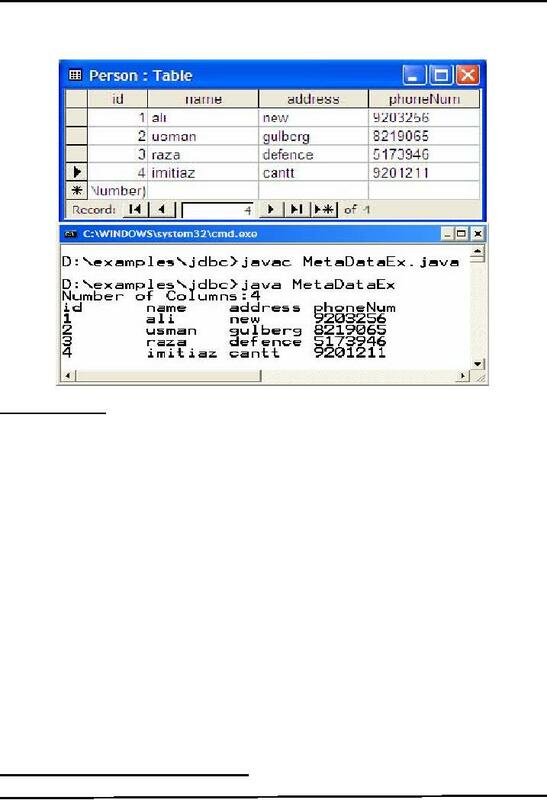 -Converts JDBC calls into database-specific calls such as SQL Server, Informix, Oracle or Sybase. -Completely implemented in Java to achieve platform independence and eliminate deployment issues.